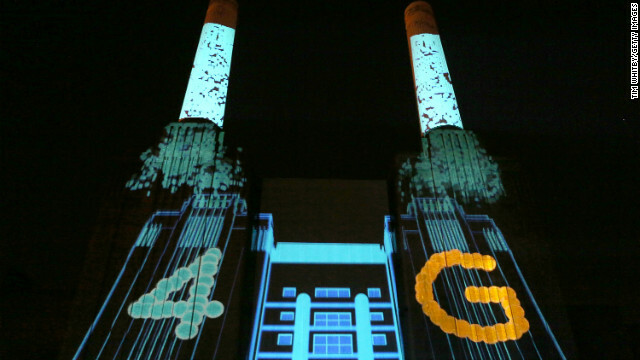 The launch of EE, Britain's first 4G mobile network, at Battersea Power station on November 1, 2012 in London, England. (CNN) -- With so many advancements in mobile phone technology, it's easy to dismiss most as insignificant. A mega-megapixel camera, a brighter screen and better apps are all good, but they're hardly going to redefine your world. But with 4G you can expect significant life changes. A new generation of the cellular network -- already rolled out in many parts of Asia and the U.S. -- 4G promises to supercharge mobile internet connections across the UK and parts of Europe in the coming year. Speed is the essence of 4G. Since global mobile networks began rolling out in the 1980s, a new generation of handsets has evolved roughly every decade. The latest, promising data speeds equivalent to a standard broadband internet connection, is considered the fourth -- hence 4G. Although 4G coverage is still limited and, some critics argue, it may struggle to fulfil the ambitious claims of network operators, it is likely to make a difference to the millions of people who already channel great chunks of their lives through their mobile phones. 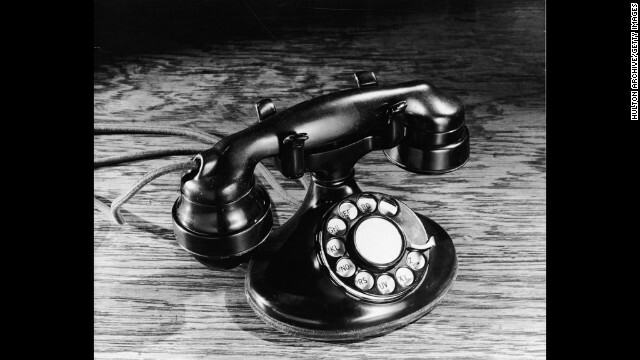 Fifty years ago, the first push-button telephone was introduced. 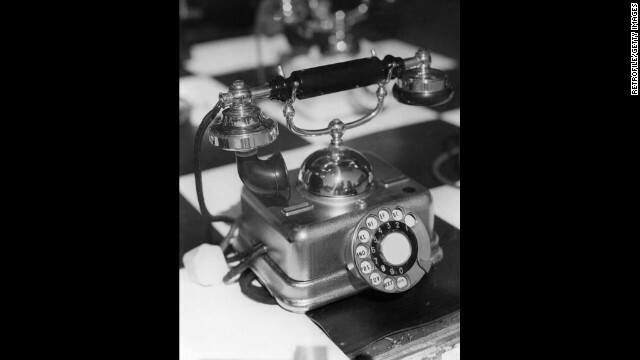 The electronic system featured Touch-Tone dialing and was offered to Bell customers on November 18, 1963. 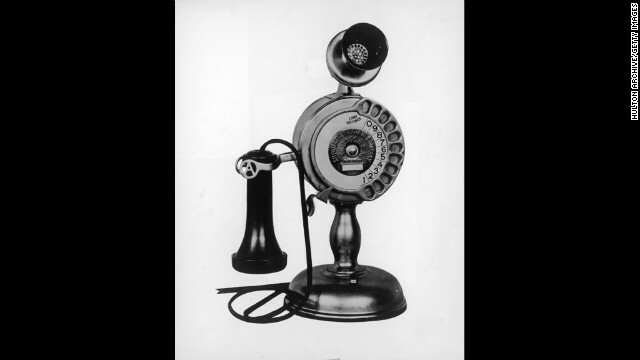 Click through the gallery to see a visual history of the telephone. 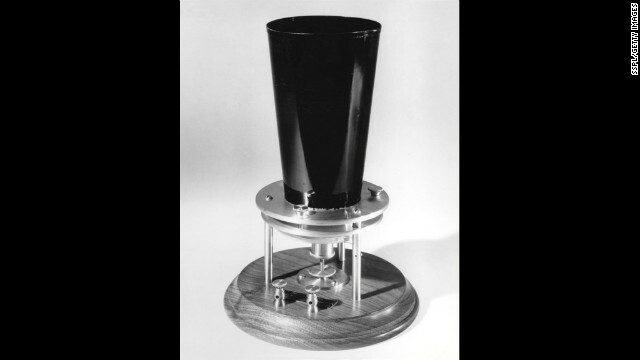 Alexander Graham Bell invented the liquid transmitter, the first practical means of sending voice calls, in 1876. 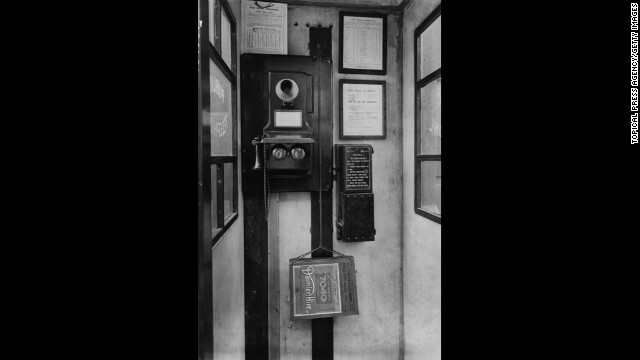 This 1924 phone booth in London features a wall-mounted phone with separate mouthpiece and receiver. The telephone has come a long way from the 1930s, when rotary-dial models like this one were popular. 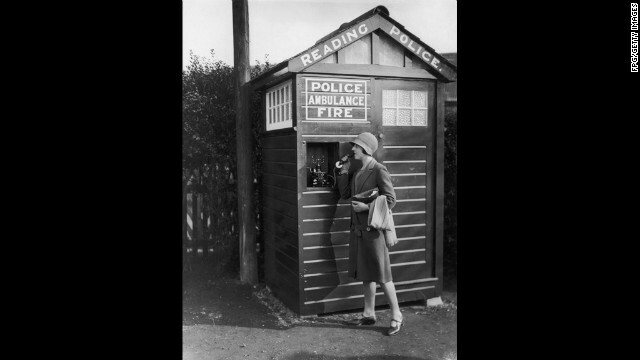 This rotary phone in Reading, Pennsylvania, could be used to summon police, ambulance or fire services at a moment's notice in the 1930s. Rotary-dial telephones with separate mouthpieces and receivers were commonly referred to as "candlestick" phones. This model from the mid-1930s features the rotary dial in the shaft of the telephone. This 1950s rotary phone features an attached mouthpiece and receiver. 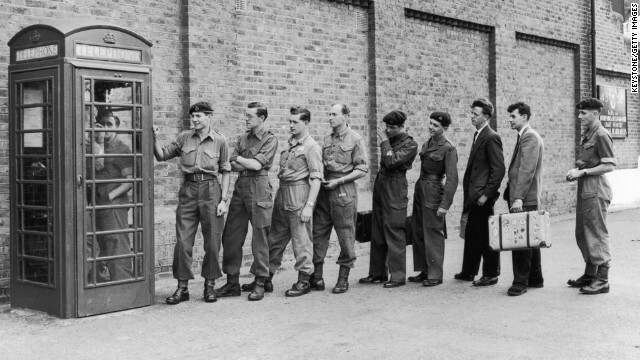 Here English troops call their loved ones in 1956 after being told to prepare for duty in the Suez Canal Zone. Payphones were common until cell phones became popular and affordable. 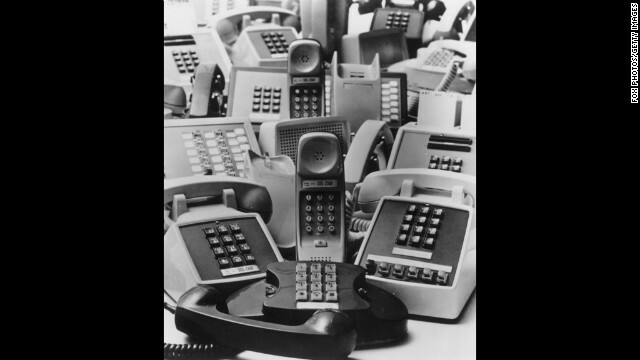 Some of the first push-button phones are pictured here in 1971. 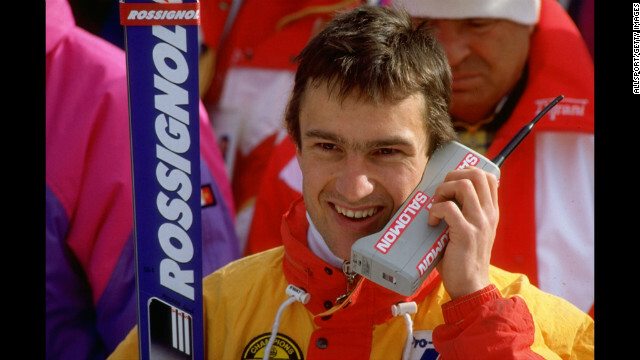 French skier Franck Piccard talks on his mobile phone after an event at the 1988 Winter Olympic Games in Calgary, Alberta, Canada. 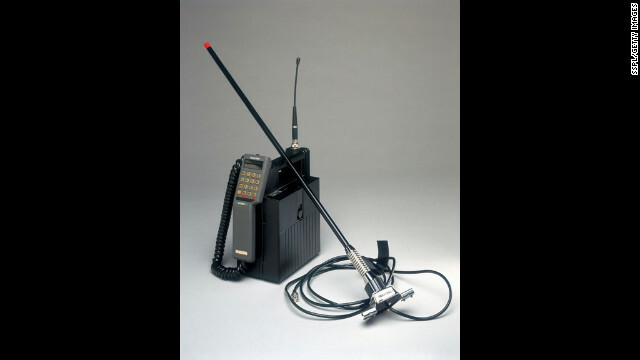 This mobile phone was marketed by Racal-Vodac Limited in 1997 to serve either as a portable unit or as a mobile unit installed in a car. The unit was sold with a battery charger and extension antenna for areas with poor reception. Cell phone manufacturers made great strides between 1997 and 2004. 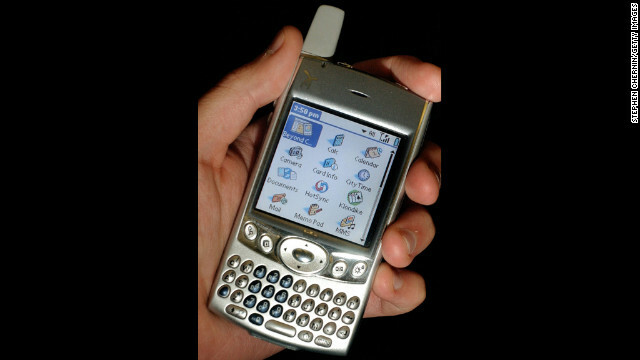 The Palm Treo 600 smartphone, pictured here in 2004, integrated telephone with e-mail and Internet-browsing capabilities. 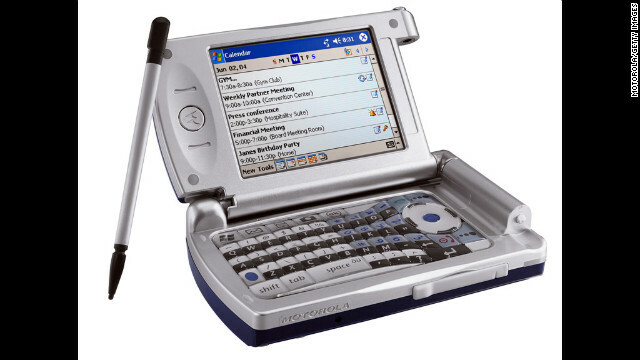 Motorola's MPx wireless device, released in the second half of 2004, took the smartphone to a new level with Wi-Fi capabilities and a fully functional keyboard. 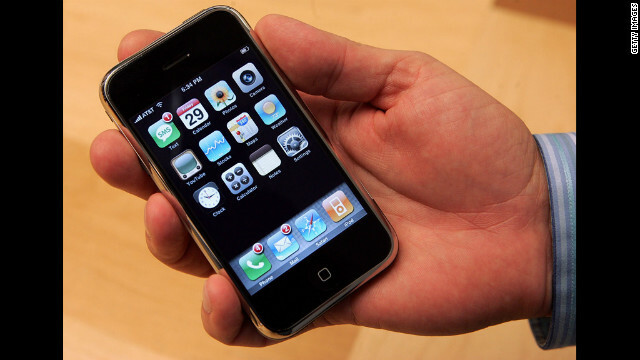 The first-generation Apple iPhone, released on June 29, 2007, had people lining up for days to buy one. A huge advancement in phones at the time, it incorporated a touchscreen, apps, e-mail, Web surfing and a host of other features. The BlackBerry Bold 9930, shown here, was one of many BlackBerry devices so popular in the early 2000s they were dubbed "CrackBerries." Popular for business applications because of their full keyboards and advanced e-mail capabilities, most BlackBerrys have since been eclipsed by flashier smartphones. 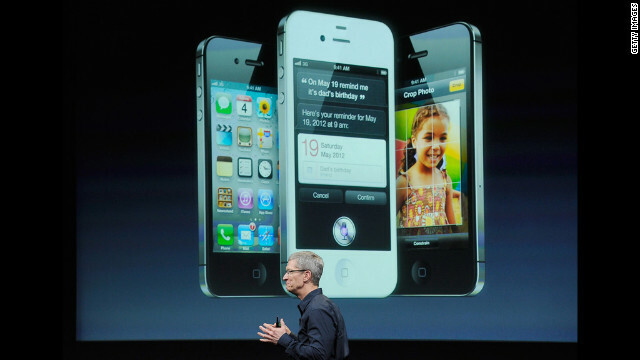 The iPhone 4S, released in 2011, expanded on the iPhone's innovations with its high-resolution screen and Siri, Apple's voice-activated virtual "assistant." 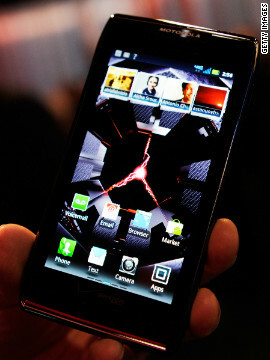 The original Motorola Droid was the thinnest of its kind at its 2011 release. Motorola's Droid Razr Maxx, seen here on display at the 2012 International Consumer Electronics Show in Las Vegas, has a longer battery life than previous models. 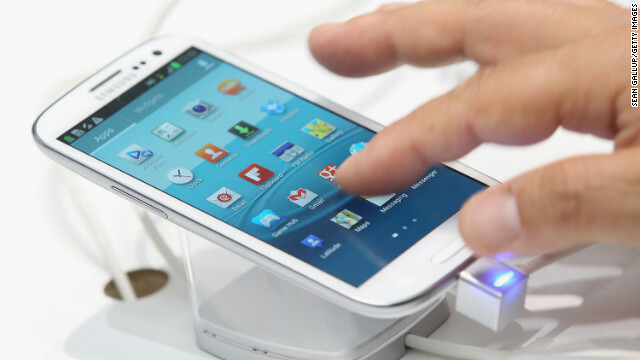 Last year, Samsung's Galaxy S III overtook Apple's iPhone 4S to become the world's best-selling smartphone for the third quarter, according to research by Strategy Analytics. 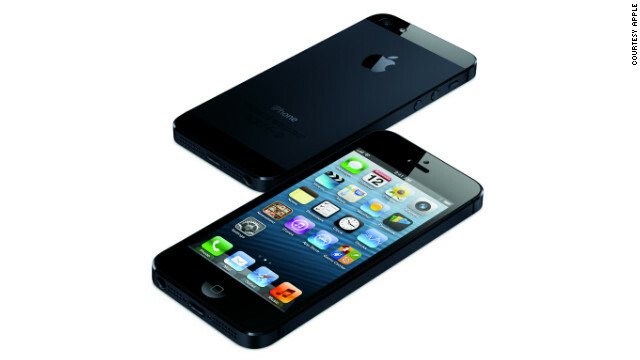 The iPhone 5 looks similar to previous models but has a larger screen and is lighter and thinner than the iPhone 4S. The phone also comes with a faster processor called the Apple A6, which connects to mobile carriers with a 4G LTE connection. 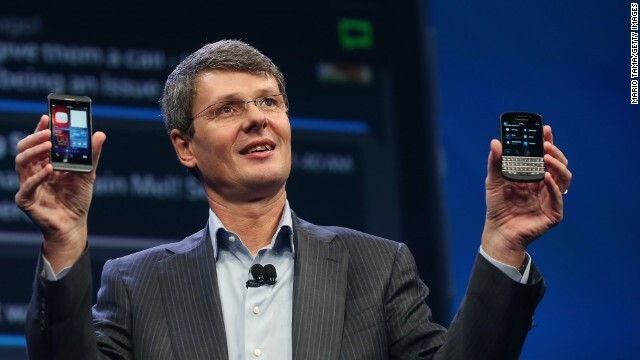 BlackBerry CEO Thorsten Heins displays two new Blackberry 10 smartphones January 30 in New York. The Z10, left, features an all-touch keyboard. 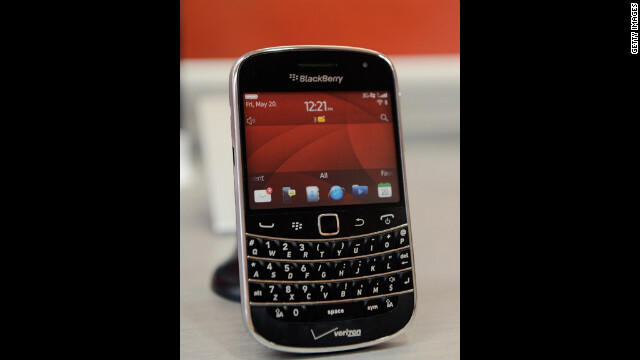 The Q10 features a classic BlackBerry tactile keyboard. Some may argue none of this is a change for the better. With almost every aspect of our waking (and, in some cases, sleeping) lives slavishly conducted through our handsets, perhaps we are in danger of losing touch with the world beyond our small screens. Others would say that by unloading life's chores onto our phones, we will be free to spend more time doing what we want to do. Whereas 3G networks offered slow video downloads or buffering-plagued live streams, 4G's high data speeds should mean feature-length movies accessed in a matter of minutes, or seamless live TV. High definition video phone calls are possible too. The implications of mobile TV growth are huge. As more people use their handsets as their primary viewing platform, moviemakers and TV producers may find themselves faced with the need to create shows that look good on smaller screens as advertisers move to mobile. ...4G's high data speeds should mean feature-length movies accessed in a matter of minutes, or seamless live TV. Consumers, however, would be advised to change their viewing habits with caution. Video downloads are, and will continue to be, a major drain on data allowances. Keeping up with the Kardashians could cost you fortune. The first generation of mobile phones were so large and clunky they were known as carphones. Most mobile calls were made from the comfort of a car because you needed a vehicle to carry around the heavy, ugly box of electronics that kept you connected. With the advent of 4G, you're just as likely to be talking TO your car as talking from it. This is a concept known as the "Internet of Things," a world wide web of everyday items that will soon see our contact books cluttered with the email addresses of washing machines, toasters and microwave ovens (well, almost). Some everyday items, like TiVo cable television boxes, are already hooked up to the internet, allowing users to program them remotely. It is predicted that most high-end electronic goods will soon be embedded with the ability to communicate via the internet. Drivers will be able to defrost cars from the warmth of their bed. Fridges will tell you whether you need to buy more milk. Garden sprinklers will advise you whether the lawn needs a drink. Such communications will flourish under 4G, as networks will offer the extra speed and capacity needed to cope with such an increase in electronic chatter. When the first BlackBerry handsets were unleashed on unsuspecting employees over the last decade they revolutionized the way many of us work. Suddenly, we were dealing with company emails on the train, on the bus and in the bath. Thumbs suffered as people pounded out their replies on tiny QWERTY keypads. Work-life balances suffered as the lines between professional and personal time became blurred. Some relationships suffered as BlackBerrys were inevitably brought into marital beds. These days most of us have adapted to carrying around a portal to the office in our pockets. We might check them obsessively, but we're no longer feverishly addicted to responding in real time. The arrival of 4G could shake things up again. With a mobile network that offers broadband speeds and capacity, it in theory becomes possible to carry out all manner of online activity on the hoof. Secure connections through which employees can access data-heavy company software become possible. As does downloading or uploading huge data files and video conferencing. This will make life easier for workers whose job already takes them on the road. It will also unshackle many more from their desks. But it could also lead to a tricky transition period as millions of us adapt to a new world in which almost every aspect of office life can be lugged around in our laptops. Work-life balances suffered as the lines between professional and personal time became blurred. Even as 4G keeps us connected more closely to our work, it will also plug us into our play. Whether you enjoy listening to music or engaging in multi-player computer combat, 4G should make that a seamless mobile experience via delay-free access to cloud storage or gaming servers. Pros: Mozart on the metro. Alien annihilation on the number 8 bus. Cons: Work and play. Our phones now own us. Whether we like it or not, 4G is the future of mobile telecommunications (at least until 5G comes along). Some people may insist that their old 1G or 2G handsets are all that they'll ever need, but sadly they must soon bow to the inevitable. 4G phone operators have been able to increase network speeds by accessing a broader spectrum of transmission frequencies. These are expensive, with operators often entering highly competitive government auctions to secure a slice of radio bandwidth. As demand for 4G grows, networks will be looking to dedicate more frequencies to their coverage. This will eventually mean re-assigning the frequencies that currently support 1G and 2G devices. And so, after decades of service, millions of old LCD-screened handsets will be forced to beep their last SMS.